When I was in college my family decided there was no point in having a big Christmas time extravaganza. The decorating, the gift giving, the sense of obligation seemed a little empty and everyone felt like it would be a good time to phase in a new tradition. Hence, the annual Surfin' Safari was born. Between being in college and shipping out I've been present for about three out of eight. My other five Christmases have either been spent stuck elsewhere or on a ship. Nowadays, I do my ultimate best to make it home for the Surfin' Safari because I just love, love, love it. What does it mean to go on a Surfin' Safari? Well....it's essentially a stay-cation. 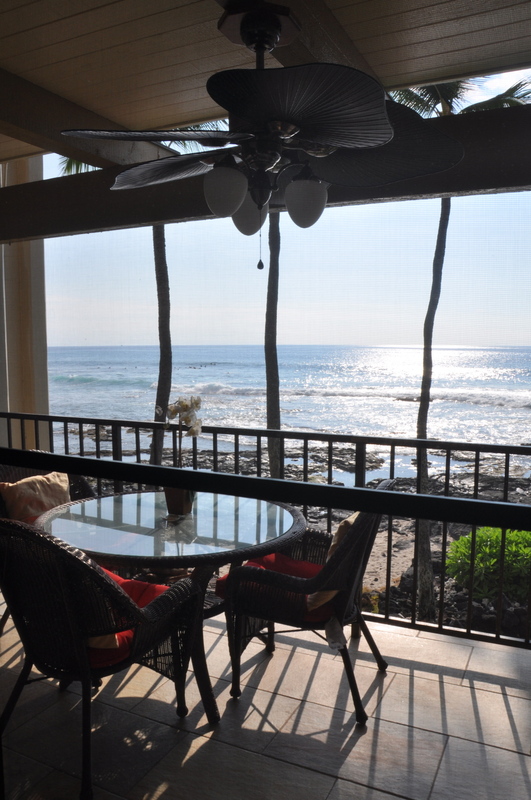 We book a condo or hotel on the other side of the island (Kailua-Kona or Waikoloa) for a few nights. We wake up every morning and hit a beach. My Step-Dad surfs, my Mom cruises the beach for treasures and I take photos....and join in the treasure hunt. The whole thing stays super low key. We pack lots of food and eat out of coolers. We don't give gifts (instead putting the money towards our accommodations). We hang out and enjoy each others company at the beach. I believe in the spirit of Christmas. I agree that it's fun to feel festive. I enjoy seeing Family. I enjoy Christmas Caroling with my church. I enjoy making wreaths. I enjoy rum and eggnog. I enjoy sending Christmas Cards. I don't enjoy feeling obligated to buy gifts. I don't enjoy wiping out my savings. I don't enjoy seeing copious amounts of plastic and paper waste lining the streets on the 26th. I don't ever want those things to be part of my life again. On this years Surfin' Safari we hit the following beaches: Anaeho'omalu Bay, Kekaha Kai State Park, Mahaeulas, Kealakekua Bay, Ke'ei and, Kiholo. I joked later about how our trip could have been called Island Appreciation Day. We started in Hilo and drove over Saddle Road - the day was gorgeous. After spending three days on the Kona Coast we drive home via South Point. For me, one of the highlights of the Surfin' Safari is constructing a 'christmas tree' at the beach. This year, my Mom and I remembered to bring raffia and hunted for ornaments at the beach. Our tree was a total winner - the best one ever! I also had a blast photoing Kona Snow (coffee tree blossoms). They were so fragrant. They were crisp and clear. The bees were actively making honey. I just snapped and snapped away! Needless to say, this trip was a memory maker and isn't that what Christmas is all about? I hope you all had a glorious holiday season! There are more pictures! Click through at your leisure!